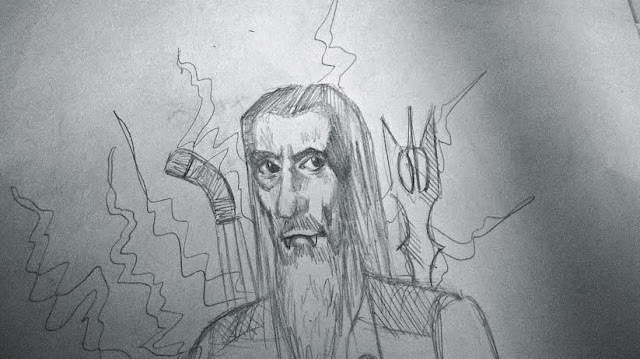 I heard the news of Christopher Lee passing via a friend’s tweet. Nothing extravagant. No shining lights, not a news story, not even a big announcement for the whole world to hear. Upon hearing the news, I sat for a long while staring into the middle distance, trying to wrap my mind around the news. Wasn’t it only a few weeks earlier I jokingly said Christopher Lee couldn’t die because he played Death itself and if he died the world would surely be over? But the world kept turning. Over the course of that day, I was bombarded with messages, tagged posts, and tweets from everybody coming to me about the news. We were all devastated. I didn’t have much to say—I never do. How does one sum up feelings for the death of someone they never actually met? Someone they didn’t actually know. I can only think of those that did know him and imagine a fraction of what they’re feeling. My prayers go to the families and friends who knew this man. 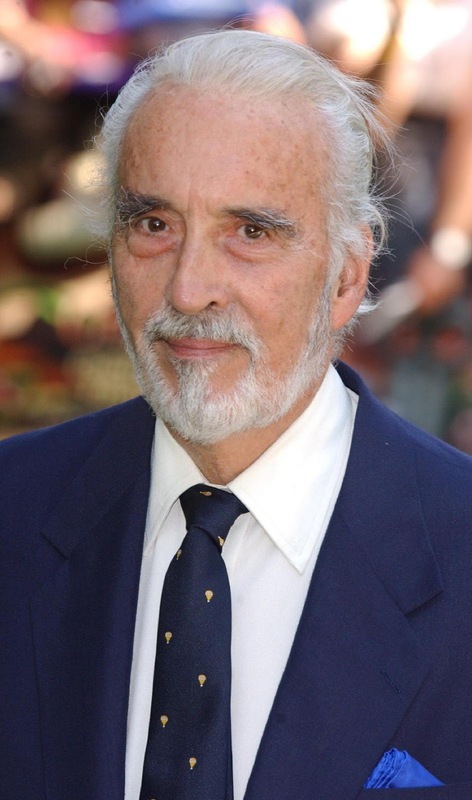 My favorite story I’ve heard about Christopher Lee is his correcting Peter Jackson the set of Lord of the Rings. Saruman—in a cut scene of the Extended Edition—is stabbed in the back. Jackson explained to Lee how to react when the knife enters, but Lee corrected him, telling him what really happens when a man is stabbed in the back. My imagination of course runs wild with thoughts of why Christopher Lee could possibly know this. He served in World War II. He either was stabbed in the back himself, witnessed someone else getting stabbed in the back, or he himself did the stabbing. It makes the tall, deep-throated actor all the more legendary and mysterious. He is a movie actor legend. He’s played all of the big “movie monsters” from Frankenstein’s monster to Dracula and the Mummy. He’s played Sherlock Holmes and Mycroft Holmes. He’s been the bad in most of his films, including the two biggest franchises of the 21st century, Star Wars and Lord of the Rings. He actually met J.R.R. Tolkien and claimed to read the Lord of the Rings books every single year. He was in a heavy metal band during his 90s. You will never be as cool or legendary as Christopher Lee. He’s a legend and will remain a legend because of his fans. We will continue to keep his legacy every time we watch a movie he was in—villain or not. Many know him as the guy who played villains in Lord of the Rings and Star Wars. And yes, I have seen him in those roles. But when I think of him, one of his older villainous turns always comes to mind. Dr. Victor Gannon from Return from Witch Mountain. He was so... creepy without being completely overdramatic about it. (Think something similar to Walden's White Witch in The Lion, the Witch and the Wardrobe.) Yes, so he almost always played the bad guy, but I'm still sad that the world has lost another great actor. May he rest in peace... and may his family know some as well! Prayers to all who knew him... he will be missed by many. For me, Christopher Lee was an icon of nerd culture. I'd be hard pressed to find an aspect of my childhood that didn't include Christopher Lee in it. I watched the first two Star Wars prequels when I was around nine years old, and a few years later I watched Lord of the Rings. 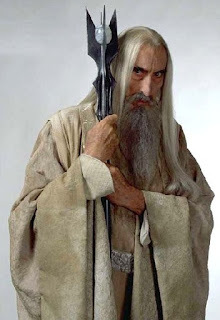 Even in recent years Christopher Lee greeted me as Saruman in The Hobbit trilogy. 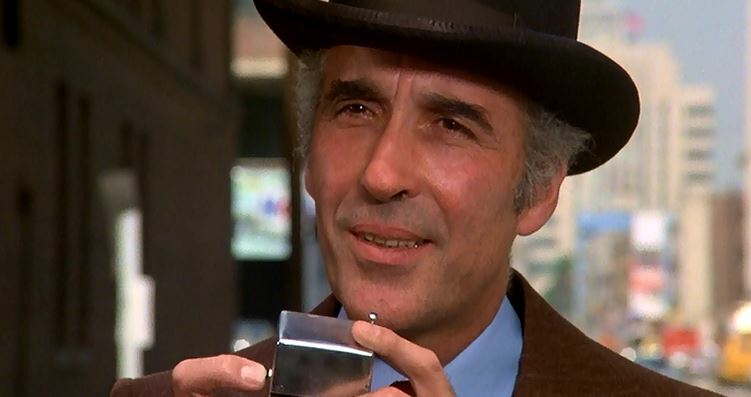 While I didn't get to see him in many other roles, Christopher Lee had a lot of them. He was incredibly prolific and was still acting at the time he passed away. He relentlessly gave us the gift of his acting and, more importantly, his presence. He said things like, "I'm much softer than people think. I don't present to the world an emotional face. I'm pretty good at self-control, but I am easily moved." He was knighted in 2009, making his full title "Sir Christopher Lee." And last but certainly not least, he was in a heavy metal band, which I find truly inspiring. Whatever Christopher Lee did, he did it with his whole heart. I think he lived a life to be proud of. I'm extremely grateful for the time we got to know Christopher Lee, whether as a villain or as his normal self. He was truly an incredible person, and I hope that he will be remembered during my lifetime and beyond. "What's really important for me is, as an old man, I'm known by my own generation and the next generation know me, too." 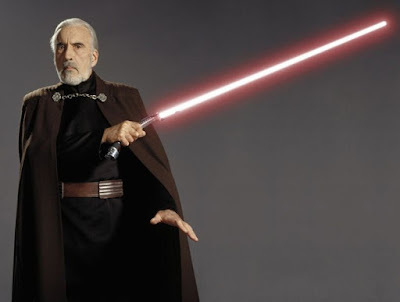 I definitely loved him as Saruman, Count Dooku, and the Man with the Golden Gun. He was a great actor, and he will be missed!